Time: Daily 09:00 a.m. to 06:00 p.m. Eligibility: Open to all. Pre-registrations required. some more hotels: (Note: It is advisable to check with the hotels from the link on the official site first since it is a huge list there. The below links may be used only if one does not find any there. Budget hotels are found more in the above given list. There may be repetitions of hotels in the links below from that list. One can use as appropriate. About the place: Mount Abu situated at a average height of 1,219 mts above sea level is the oasis in the deserted land of Rajasthan and posses the honor of being the only hill-station in Rajasthan as well as north-west India, The world famous tourist destination is known for its Delwara Jain temples and natural beauty world over, situated amidst lush green forested hills on the highest peak in the Aravali range is also the summer capital for the Indian state of Rajasthan, home to lakes, waterfalls and green forests, the hill retreat, has a very cool and soothing climate thanks to its rich flora covering the entire hillside that includes coniferous trees and flowering shrubs. Mount Abu with its word-class tourist facilities with hotels ranging from budget class to three star and heritage provides a great holiday escape and honeymoon attraction. Every year more then three million national and international tourists visit mount abu enjoying its scenic beauty, rich flora & fauna as well as the marble art of delwara jain temples. One sadhak has talked with one Mr. Asit Gupta in Ahmedabad with the intention that sadhaks could co-ordinate the timings and share a car. Below are the details provided on the prevailing rates currently in Gujarat. * Toll tax or any other taxes applicable extra & to be borne by the customer. * The pricing hereby mentioned may change as per the market prevailing rates during the time of booking. By Air: Maharana Pratap Airport at Dabok 22 Kms from Udaipur and 200 Kms from Mount Abu is the nearest Airport to Mount Abu. It is well connected with major cities of India including Delhi, Kolkata, Jodhpur and Jaipur and Mumbai. It takes approximately 4 hrs. drive from Mount Abu. Taxis and buses are available to reach Mount Abu. Sardar Vallabh Bhai Patel Airport in Ahmedabad is the next nearest Airport to Mount Abu. 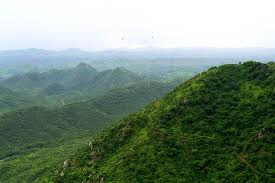 It is 240 Kms from Mount Abu. It well connected all major Indian cities and some International cities are also connected to it. Its approximately 4 hrs. drive from Mount Abu. By Rail: As Mount Abu is a Hill Station, Abu Road (29 km) is the nearest railhead linked with Ahmedabad, Delhi, Jaipur and Jodhpur. By Road: Abu is well connected with Udaipur (185 km), Ahmedabad (221 km) and Jodhpur (326 km). 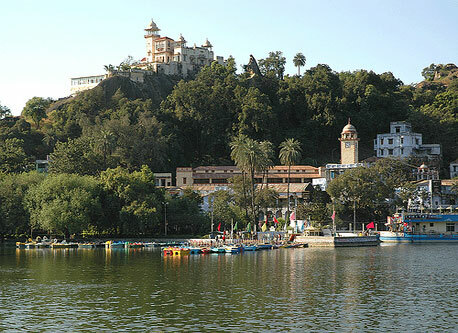 Mount Abu is well connected with major cities in India. It is just on 28 kms. long diversion route from National Highway No.14. If you are coming from Gujarat then keep in mind to leave the highway from RICCO, Aburoad and if you are coming form Delhi or Jaipur via. Sirohi then leave the National Highway just after passing 15 Kms. away from Swarupgunj Toll Plaza. 70 - 200 cm during monsoon. scorching sun tortures the land from March to September. Religion: Mount Abu is a mixture of religions. Abu boasts of the world famous Jain temples at Dilwara and Achalgarh. Hindus temples are found in all four directions of Abu. There are churches, a Gurudwar and a mosque also in Abu. The main religion is Hinduism. The follower of Brahmakumaries also have their main headquarters in Abu. 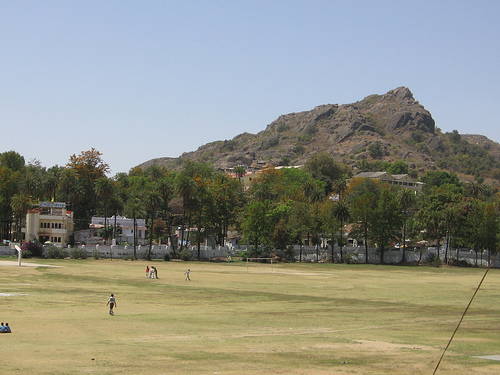 Security and Safety: Mount Abu has a reputation of being one of the safest cities of India. Crime rates are extremely low and the streets are safe to walk in any time of the day or night. Tourists are warned to be careful about their valuables as times are hard they should keep it in a safe place. Peak season time beware of wily drivers as they could take you for a ride for twice the asking rates. The Mount Abu Administration is vigilant in ensuring that the tourists are safe. The police do patrol the winding roads of Abu late into the night to ensure the safety of the local as well as that of the tourists. According to law, you must have either of these two documents with you all the time. To check into a hotel you must show your ID (licence, PAN card, etc or passport to the hotel clerk. Electricity: Mount Abu does not have power cuts/ or power shedding as in the rest of Rajasthan. But there may be power failure due to faults, storms, heavy rain or just some maintenance work; it is advisable to carry a flashlight. Smoking: Smoking is prohibited in public buses, restaurants and government offices. Plastic Bags: There is a ban on the use of plastic bags, please note from August 2010 there will be a complete ban so please do take the trouble to carry a bag other than plastic for your own convenience . Begging: Begging is a huge problem in India, thankfully here in Mount Abu you will hardly see any beggars, even if you do see one you are advised not to give them cash, you could help by giving them a meal. Communications /Mobile Phones: Mount Abu has a good many service providers – Bsnl, Air Tel, Idea , Vodafone and Reliance. 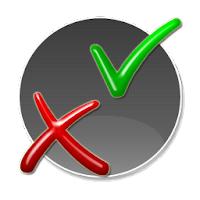 Reliance net work does fail in certain parts of Abu so it is advisable to carry Sims of at least two networks . As you prepare to climb the uphill road please see that your vehicle has up-to-date PUC (Pollution under control Certificate). If found guilty, you could be prevented from climbing up to Mount Abu. Please do not honk your horn unnecessarily and certainly not the pressure horns. Kindly do not exceed the approved speed of 30 K. M. P. while climbing to Mount Abu and driving in and around Mount Abu. Please do not feed any wild animal (including monkeys on the road) on the way to Mount Abu - The offence is punishable with fine and imprisonment. Please does not light anything on the way to Mount Abu or throw any burning match or any other burning material on the road or into tbhe forest area. While coming down from Mount Abu please give preference of passage to the vehicle climbing up. Do not drink alcohol on your journey to Mount Abu and Back. There could be random alcohol tests and if found under influence of alcohol on the wheel (driving) your licence could be confiscated and on three such violations you could be debarred from driving for life. Adhere to the traffic rules on the way to Mount Abu and also while driving in and around Mount Abu. Please do not go to the forest area alone and never after dusk. If you still desire to be in the jungle for adventure always have a forest guard with you. Please keep Mount Abu clean. DO NOT LITTER. The offence is punishable. Do not carry plastic bags with you in Mount Abu. The offence is punishable. Do not use high decibel music systems; both in your car and also otherwise. At night lower the beam of your vehicle while driving in and around Mount Abu. In doubt always take help of the Tourist Police. * courtesy: info taken from various sites on the internet and clubbed here so as to serve the purpose of bringing relevant info. HUM BAHOT KHUSH HAI KE MUJHE AUR MERI WIFE KO A MOUKA MILRAHA HAI. NAMHASHIVAYA UNCONDITIONAL LOVE TO ALL. how much is donation amount for this shivir. Pretty good post. I just stumbled upon your blog and wanted to say that I have really enjoyed reading your posts. Any way I'll be subscribing to your feed and I hope you post again soon. Thank you jacobji! the info has been very helpful for all of us:) namah shivay! lots of ucl to u bhaiya..
thanks for visiting mount abu and will always remember babaji's teachings & blessings.